Fort Lauderdale is a tourism hotspot, but for individuals who crave the warm weather and are in love with the dazzling water, Fort Lauderdale is a home unlike any other. When settling in Fort Lauderdale, finding a stable job is important to help you stay in the area. Not sure where to start? Consider these five companies worth working for in Fort Lauderdale, Fla.
the number one best place to work in Fort Lauderdale. If you”re a healthcare professional, you might consider starting here, but the healthcare recruitment firm employs more than nurses and doctors. Financial analysts, customer service representatives, and other professionals in the health care industry may apply for jobs at Acclivity Healthcare. With a high tourism population, Fort Lauderdale sees people seeking real estate properties for their vacation homes and others looking to settle down in the beautiful area. This makes real estate a great market for leasing managers, finance professionals, and even groundskeepers. Many previous employees agree that Gables Residential is a spectacular place to work for individuals in the real estate industry, so if you have experience in this field, you might consider working for this company. Since tourism is the major industry in the area, many Fort Lauderdale residents work at companies that accommodate tourists. 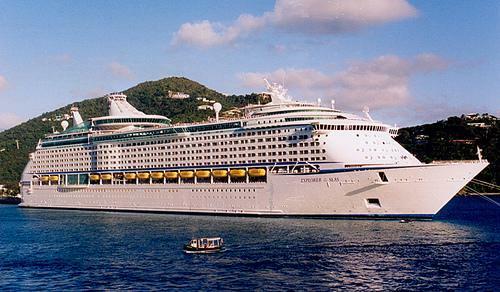 If you want to feel like you”re vacationing every day, whether you”re nestled in your Fort Lauderdale home or you”re out on the water, becoming a Royal Caribbean Cruise employee can make you feel that way. Maintain the ship, work in the restaurant, monitor finances, or help guests check in all while meeting new people and visiting new places. Another top company on Indeed”s list is the Broward College. If you”re not interested in the tourism industry, perhaps you”ll enjoy working at the college. You don”t have to be a professor to enjoy employment here. You could also work in the financial aid office, manage admissions, or take on a number of different roles on campus. Check out their website to learn more. interested in working as a front desk agent or in the housekeeping staff then the Westin Hotel also employs chefs, financial professionals, and other experienced individuals. other learn and grow. Whether you”ve just moved to the area or are looking into getting a new job, start with these suggested companies to end up in a career you love with fantastic people who will make the work enjoyable.